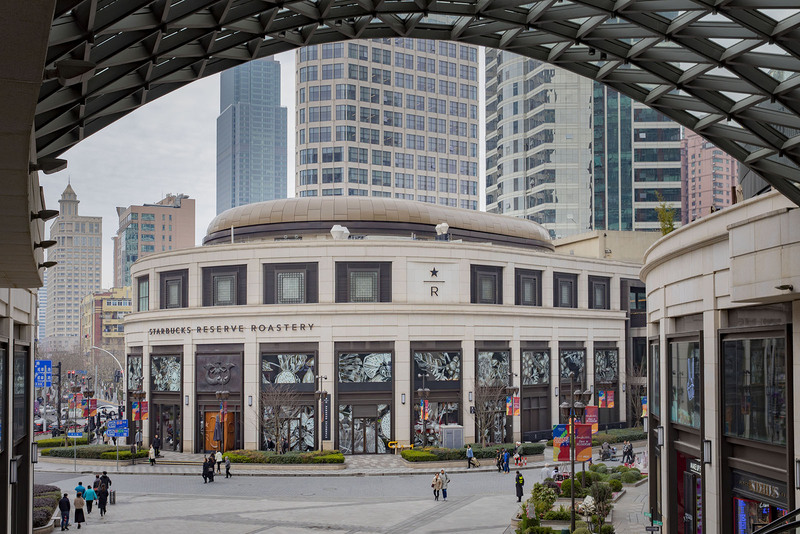 Officially opened to the public on December 6, 2017 in Shanghai, the multi-story HKRI Taikoo Hui-located structure is designed to present a “coffee wonderland” to guests, conceptualized, according to the press release, to reflect the “journey of coffee — from the moment the farmer picks the cherry to when it is poured into the cup." 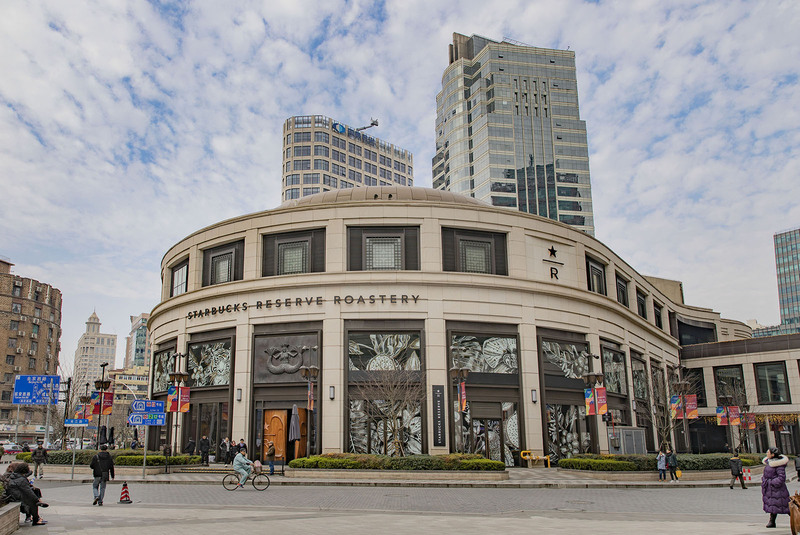 A truly multifaceted experience, the Starbucks Reserve Roastery hosts a main bar, a “pairing bar” (for coffee and food), a 27-meter long bar for their “Cold Brew Towers”, Princi, an acclaimed artisanal bakery making its debut in Asia on the site, a “coffee library”, tasting rooms, a retail clothing area, and more. 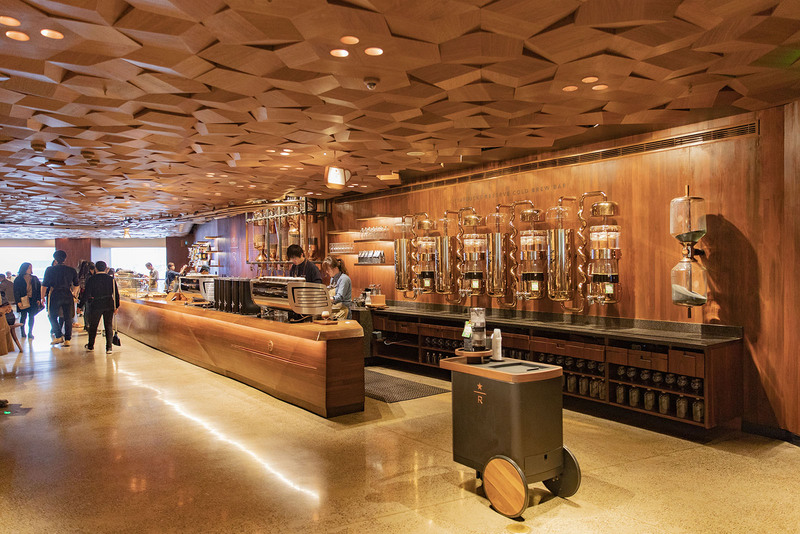 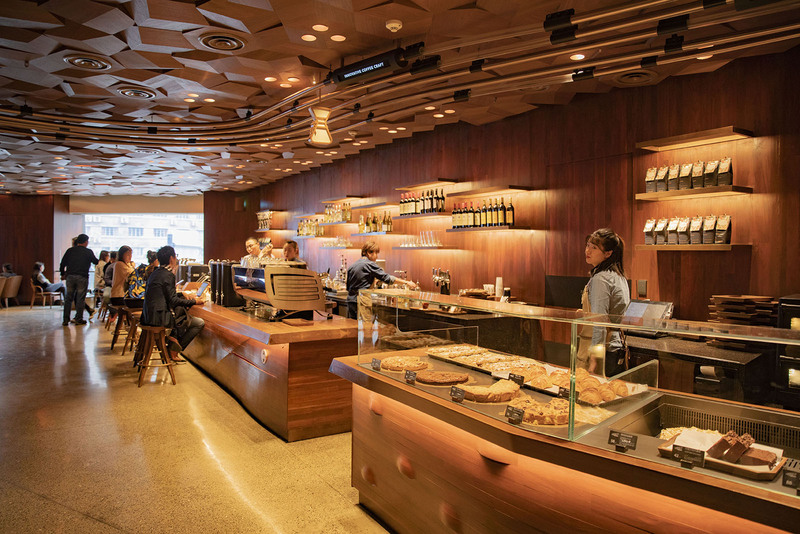 Old world coffee technology — copper casks, silos, rolling assembly, lines, and a “symphony of copper pipes”, so named for the sound the beans make when they travel through them — operates side by side with cutting-edge digital technology. 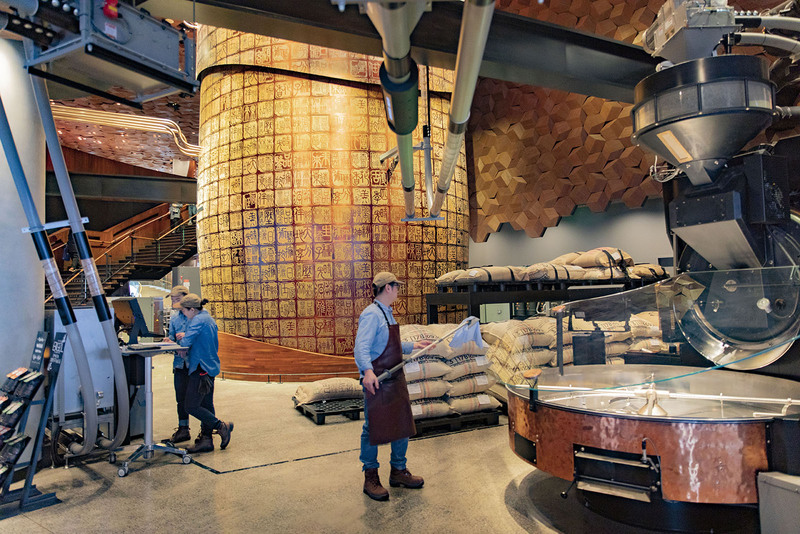 Every details has been considered, even the aerial view; seen from above the Roastery resembles a giant coffee bean. 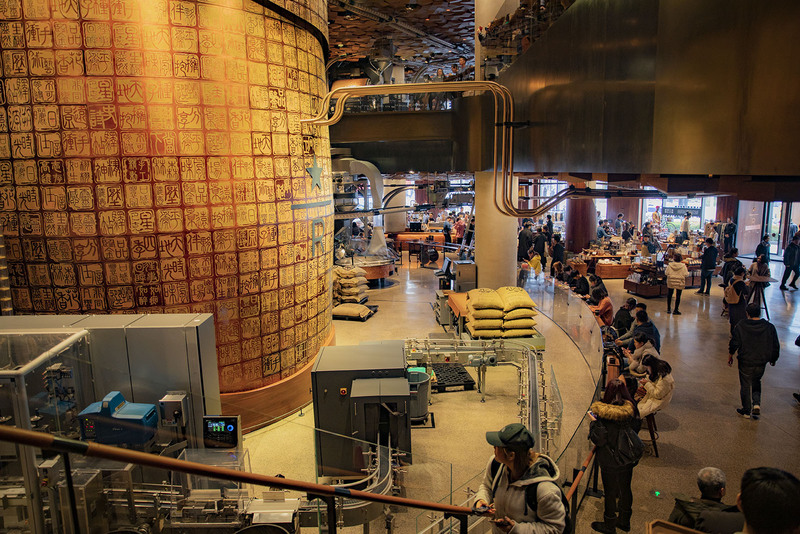 The visual centerpiece is the gorgeous and ornate two-story Copper Cask, which weighs over four tons and measures over eight meters in height — twice the size of the one in Seattle. 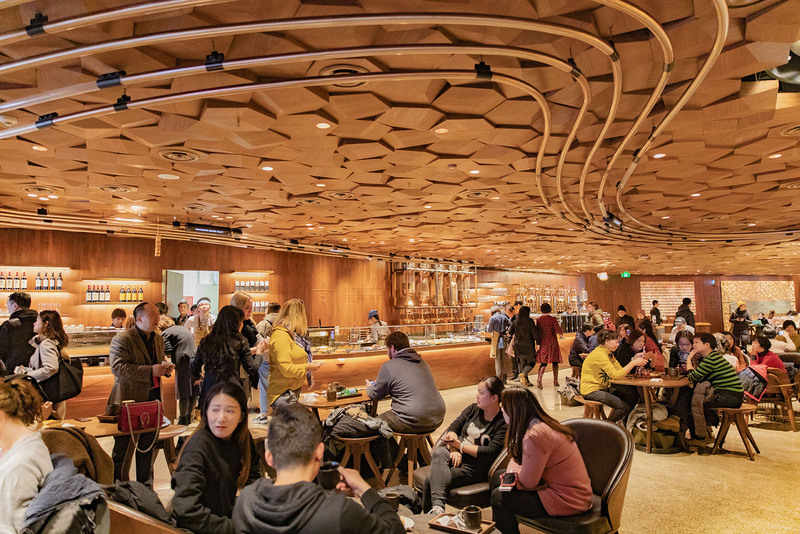 It's designed to hold freshly-roasted coffee beans (and eventually all of our souls), stored until they reach their full flavor.